We are proud to announce that the Beyma subwoofer 18LEX1600Nd has been awarded by the Reader´s Choice Awards, as the best subwoofer of the world on category “ Loudspeakers: Drivers and Transducers of 2017”. This award is organized by the American magazines Prosoundweb & Live Sound International with more than 45.000 participants voting. 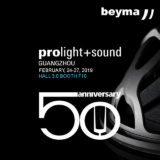 We will receive the award at our booth (Hall A stand :11144) on the incoming NAMM show (25-28 January, Anaheim, California). 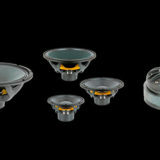 Take the opportunity to visit our booth and see the great subwoofer 18LEX! !